FIGHT! 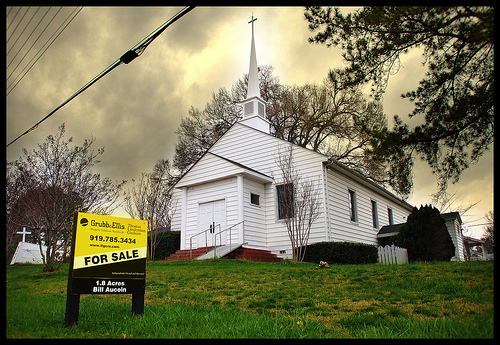 What does it take to revitalize a church? I recently had the privilege of speaking at Renovate National Church Revitalization Conference. Amazing content and exciting teaching designed to equip pastors and church leaders to help churches make the turn from death to life was packed in to 3 days. I had an opportunity to speak during the main session on Wednesday morning and wanted to challenge those in attendance. I specifically addressed what is needed if we are ever going to see our churches come back from the brink of disaster. There are plenty of people fighting against the local church. God needs bold men and women who will fight FOR the local church. One of the biggest things missing in today’s existing churches is men and women who are bold and courageous enough to fight for Christ’s church. It seems that a large majority of people coming out of seminary and megachurches are moving in to predominantly white, affluent neighborhoods to plant a church to reach that community. But where are the men and women coming in to existing churches who are desperate for revitalization? They are very few and far between. There are plenty of people fighting against the church, but where are the people willing to go in and fight FOR the church? I know that God is looking for men and women of courage who are willing to go toe-to-toe with the “power brokers” and controllers of the local church and declare that it’s not about getting “my way or your way” but to get on our faces and discover His way. This attitude is what it’s going to take to see our churches revitalized. No more coddling the status quo and allowing the Bride of Christ to go down with a whimper. It is time for us to rise up and defend Her. It is time for love and grace and mercy to come together with courage and persistence to see God save our churches and ultimately save our world!